I am Kathleen Raskin of Las Vegas, and today I’d like to welcome you into my kitchen to celebrate National Sloppy Joe Day. There are a lot of variations on this recipe, but today I’m bringing you the classic Sloppy Joe. This ground beef and tomato sauce sandwich may have originated at a café in Sioux City, Iowa in the 1930s, after a cook named Joe got the innovative and delicious idea to add tomato sauce to the café’s loose meat sandwiches. 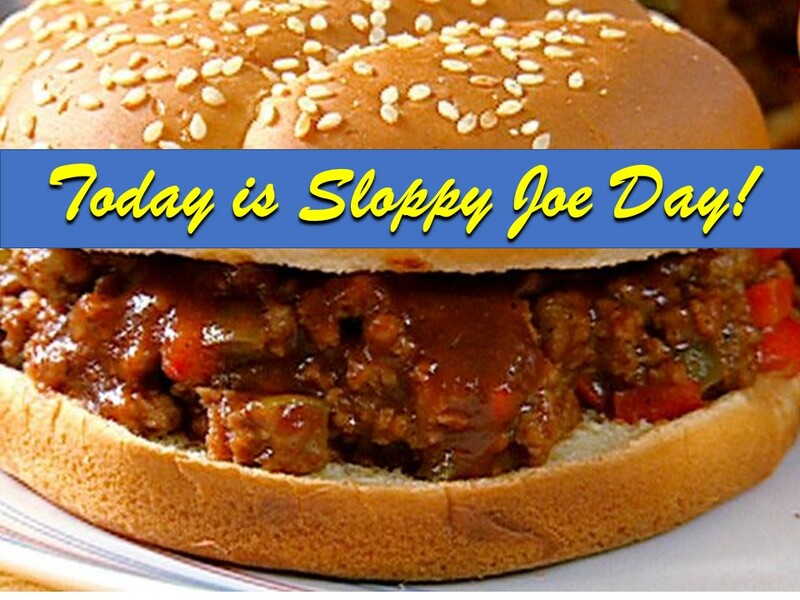 History also suggests the original Sloppy Joe may have been created at Key West, Florida’s Sloppy Joe’s Bar. While we don’t have any definitive proof of one story of origin or the other, we have plenty of proof that this sandwich has remained an American favorite over the decades. Try this recipe and you’ll understand why the Sloppy Joe deserves a day of honor. You’ll find this dish is popular with any age group, and it’s an excellent choice for potlucks, picnics, and camping, and just about any occasion. Heat the cooking oil in a large, heavy frying pan over medium-high heat, then sauté the diced onions and green pepper for approximately 5 minutes. Add the ground beef to the onion and pepper in the pan and cook until browned, stirring frequently. This process should take about 5 to 10 minutes. After the meat is done, drain the fat off, then stir in your other ingredients. Simmer on medium-low for about 10 minutes until it reaches a slightly thickened consistency, then serve on a sandwich bun – the softer the better! You’ll appreciate how versatile this recipe is. You can easily double or even triple the recipe to feed larger crowds. I serve my Sloppy Joes with pickles and chips, and it’s a hit every time. Your family will love this quick and easy Sloppy Joe Casserole. Sloppy Joe Pizza is a fun twist on an old favorite!